We continue the series of showcases in which we review 26 professional web tools and services that will grow any business in 2018. After almost 2 months of testing and reading, the showcase is ready to be shared with you. There are new entries and some of the most reputed solutions on the market. Your shares, comments, and ideas for the next showcase are highly appreciated. If you’re trying to break into the online world, you need a bold and unique approach. Tailor Brands presents an easy-to-use and automated branding solution that gives you a one-of-a-kind logo by employing AI and machine learning combined with your preferences. It starts with a few simple questions that the logo maker needs to match your choices with a vast library of pre-made logotypes, designs, color palettes, and fonts. Once your logo is generated, Tailor Brands goes an extra step and creates a full branding package to help you get started. The biggest advantage you gain with Tailor Brands is a full-fledged social media toolkit that gets you going in a matter of seconds. At the core is the company’s weekly planner, which comes loaded with a ready-to-use schedule and premade social posts that incorporate your branding and can be instantly uploaded. You can add more posts and ads with the company’s social posts and Facebook ads makers, as well as spruce up your presence with seasonal and specially designed holiday logos. If you’re looking for a sleek and easy way to quickly create an online presence, you’ll readily be able to take advantage of the company’s landing page creator, which helps you swiftly set up a digital calling card for your company that displays your unique branding. Moreover, Tailor Brands’ business materials can also give your communications an added boost. These business tools include branded letterheads and premade presentation templates, business cards, and access to EPS files you can use to create swag and other gifts for clients, visitors, and potential business partners. With a package that starts at $2.99 monthly for the basic service and $10.99 for the full-service suite, Tailor Brands has developed an easy way to create beautiful brands in seconds at a fraction of the cost. A huge advantage that every business owner can have is to know how to convert „cold” website visitors into leads. It’s the key to grow a company and the road to success. Convertful is the perfect tool to get leads from your visitors. It has 50 beautiful templates and a powerful drag and drop builder that can be used to fully customize responsive and mobile-friendly forms. Convertful give you access to real-time analytics and it allows you to make a/b split tests, so you can fine tune every moment to get the perfect results. Sign-up for free and check their free plan. 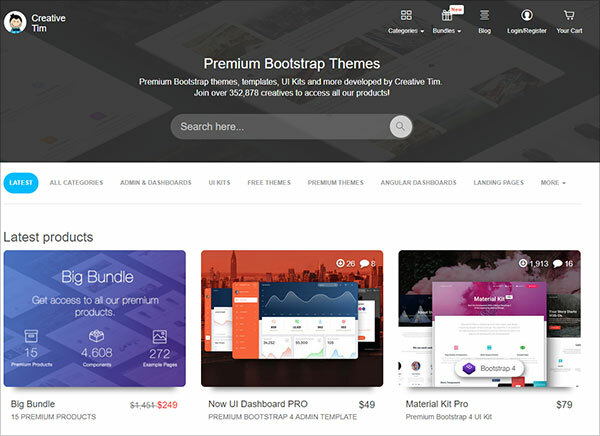 With almost 350,000 users, Creative Tim is a great place for web designers and developers where they can find premium developed items based on the latest technologies Bootstrap 4, Vuejs, React and Angular. Using them tons of time will be saved in front-end development. 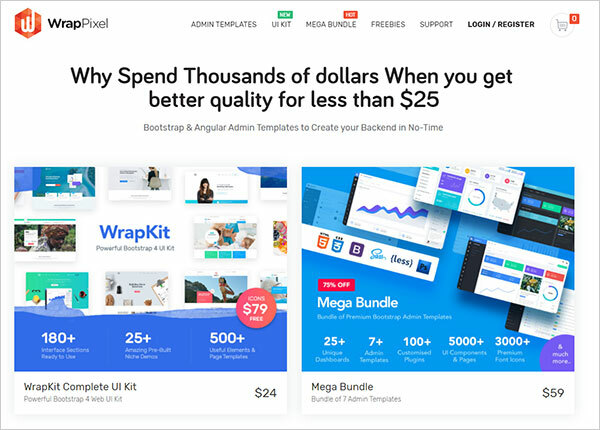 Everything you need can be found on their website: Admin & Dashboards templates, UI Kits, Angular Dashboards, eCommerce, One-page templates and much more. Their products are highly appreciated, include a large number of components and are packed with all plugins that you might need a project and documentation on. For people with many upcoming projects, they are providing 3 bundles with lots of things included. The Big Bundle has included everything that Creative Tim is offering and the cost is $249 for personal use and $749 for a developer license. These prices are hugely discounted. Check Creative Tim website and get whatever you need. LandingCube is an excellent solution to boost your Amazon sales by having a dedicated landing page. Building a lighting-fast Amazon page takes less than 3 minutes and be fully customized with a video from YouTube, Wystia, Vimeo or any other video host, scarcity elements, branding options, product images, a product description, 5-star reviews, and FAQ. Start a free trial of 14 days to check how everything works. Price: The pricing starts at $19 / month. 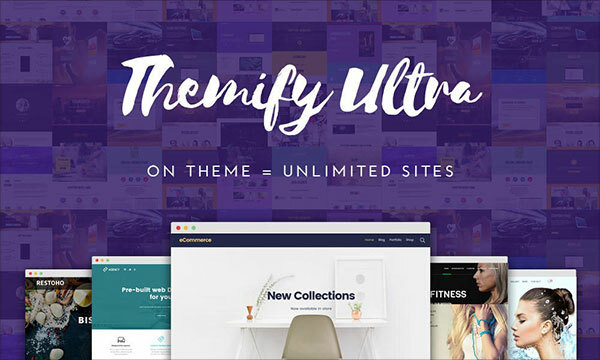 Ultra Theme is the most powerful WordPress theme developer. It is packed with more than 60 predesigned layouts, an excellent drag and drop editor and 12 bonus builder addons. Ultra gives you full control from header to footer, either site-wide or per individual page. This means that you can make your entire site share the same look and feel or create a unique look for every page. Price: $49 – Standard license. WrapPixel is offering high-quality, professional admin and HTML templates. You will find fully responsive products that have award-winning designs and lifetime support, even for the free themes. There are almost 60,000 happy customers, WrapPIxel is having an excellent track record. 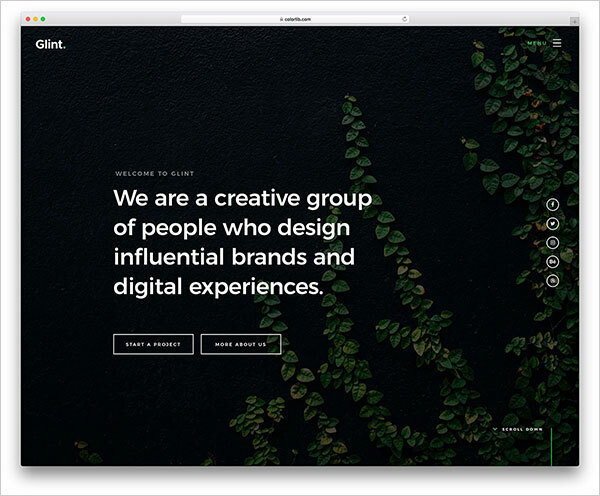 Designed by talented web designers and developers, Glint is a gorgeous, professional and easy to use HTML theme that can be a good fit for creative designers, agencies, freelancers and others. It is free to download and to use. 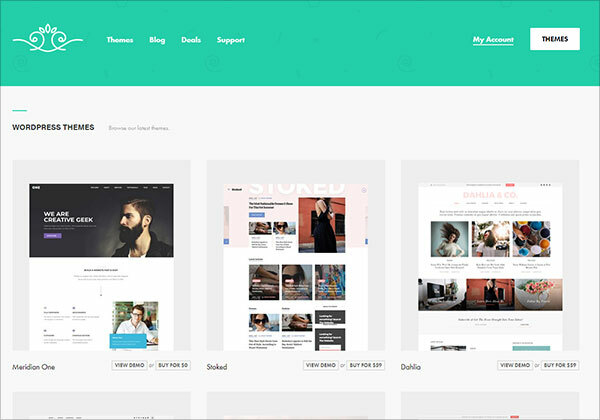 MeridianThemes is new WordPress theme developer which is focusing to build pixel-perfect templates. All of them are responsive, fast-loading, SEO friendly and secure. Customizing a theme takes a couple of minutes and the process is enjoyable. 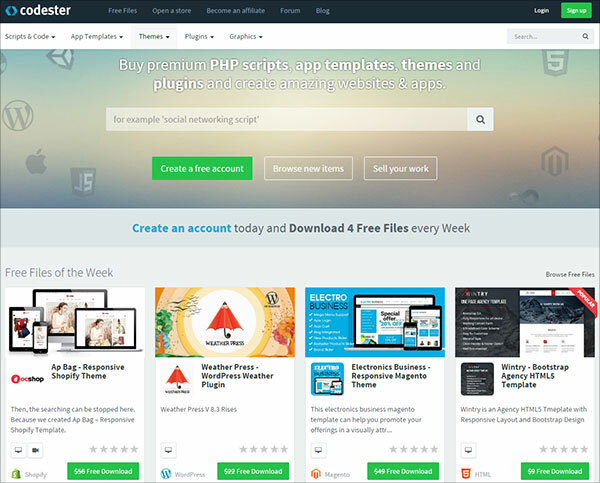 At Codester you can buy and sell PHP scripts, website themes, and plugins, graphics, apps, codes and pretty much everything you can think of. It’s a complete marketplace which is powerfully growing from one month to another. 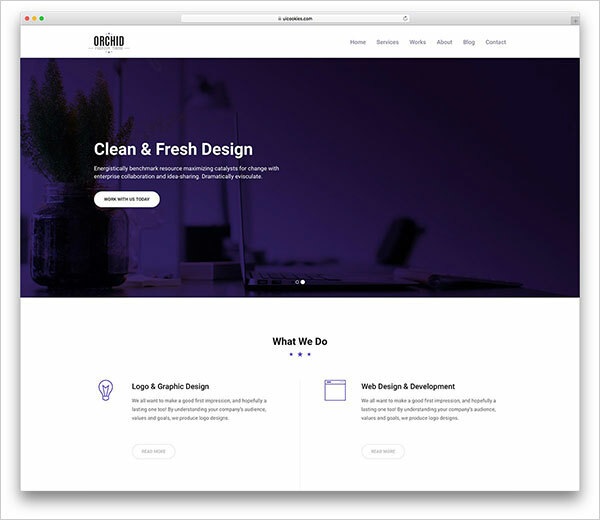 Orchid is a simple yet aesthetically stunning and technologically sophisticated one page HTML5 business simple portfolio website template. Orchid comes combined with the latest technology and design elements. The technologies are HTML5, CSS3, Bootstrap 3 frontend framework and many others. 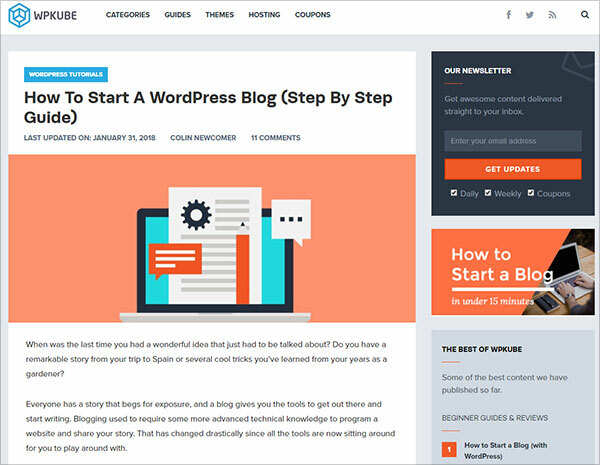 WPKube is a great resource for anyone looking to start a professional WordPress blog. They are talking about the best hosting solution, the domain selection and they finish with the theme picking and customization. Collect.chat is an interactive chatbot for collecting data on your website, like suggestions, feedbacks, bookings and much more. Start increasing conversions by interacting with your visitors via a proactive chat. You can make any part of your website conversational with these bots. Zero coding knowledge required, and the setup is super-simple. Price: Starts from $14 / month, billed annually. 48HoursLogo is a great platform used to launch logo design contests in which designers will compete to send you their best work. It’s the perfect fit for anyone looking to have a professional and beautiful logo without spending a fortune. 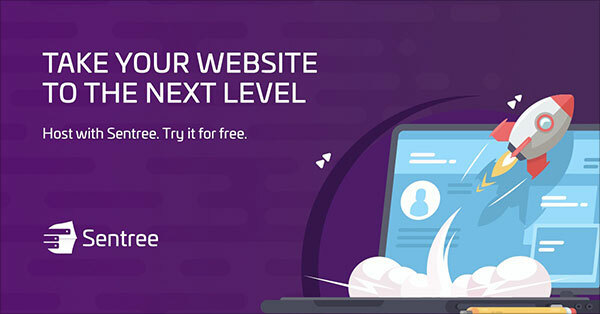 Sentree is a high-performance hosting solution built on the latest technology and a team of friendly professionals looking to help. All of their platforms are engineered to support virtually unlimited growth. Your site can start out small and grow to support millions of visitors. 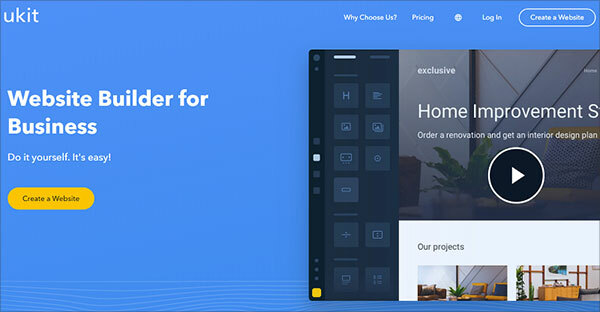 IM Creator is a free website builder that allows creating and managing appealing, functional and responsive websites with a few clicks only. You don’t have to be a web design pro to launch a website with the service. Due to the Polydoms technology, convenient WYSIWYG website editor, multiple templates and design customization tools, the process of building a website is simple, quick, effective and intuitive. uSocial makes it super simple to add social media icons and buttons to your website. No web development skills are required. No uploading. Just copy and paste a piece of code. And that’s it! Create the button set the way you like it by choosing the right color, style, positioning options and more. Modern, clean, and suited for sites that are often visited from mobile devices. 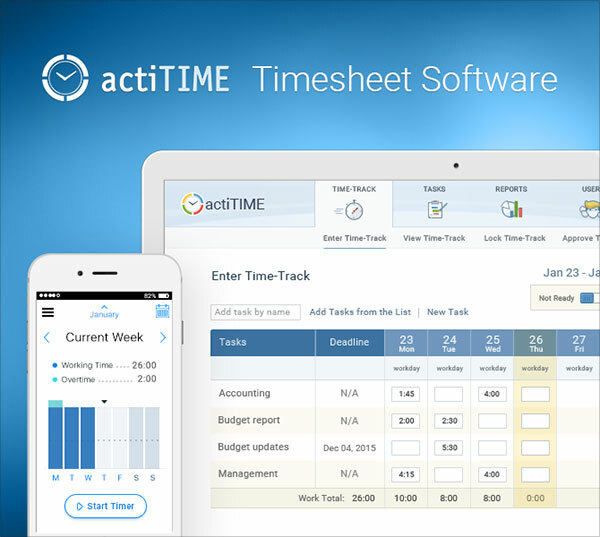 actiTIME is online project time tracking software that allows users track time, manage tasks, control project progress at the desk or on the go. Teams become more productive and businesses run better when users can get a clear view on where time and money are spent. 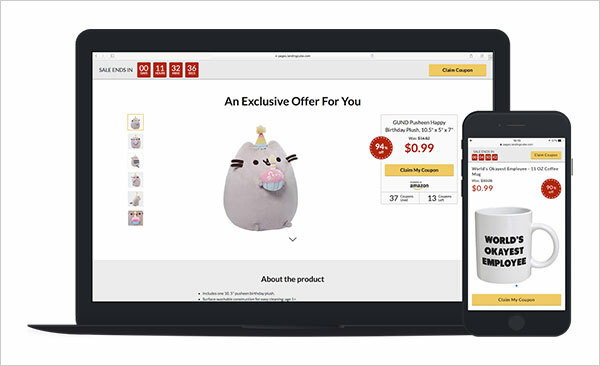 With Pixpa you can create your website or start selling with your own e-commerce store easily without any coding knowledge. Manage products, inventory, discounts, shipping, taxes and everything else you need to grow your business online. Pick your template and customize it with the drag and drop builder. Start a 15-day free trial. uKit makes it surprisingly easy to create a high-quality website of any kind — portfolio, landing page or online store — and bring your unique ideas to life. No tech skills are required for that. uKit offers an all-in-one platform with hosting, domain name, SEO, promotion and analytical tools. You can take advantage of the 14-day trial period to test drive the system before you make your final decision. 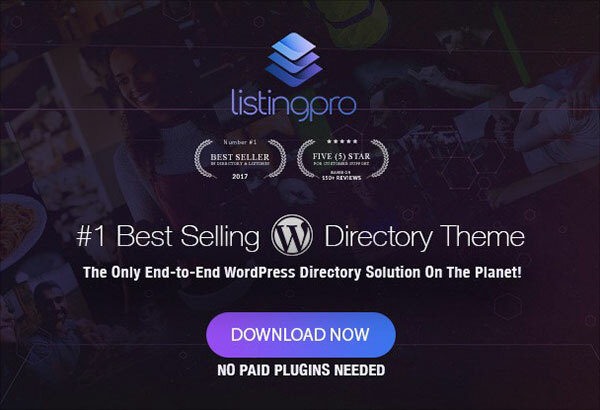 ListingPro is the bestselling directory WordPress theme in the last 6 months, with more than 2,500 directory startups being launched. The theme is complete, you don’t need to install any additional plugins and it’s by far the best on the market. Price: $69 – Regular license. Modula is a great WordPress photo gallery plugin, packed with tons of options and features. It is super simple to install, configure and run. It’s a reliable solution that adapts perfectly to any project you will have. Price: From 19 euro / month. 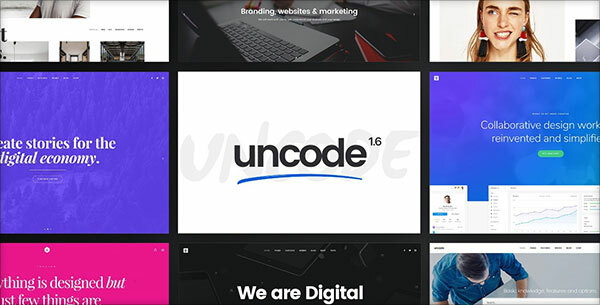 Uncode is among the best, most complete and reliable WordPress themes in the last years. It’s pixel-perfect, it is packed with tons of features and cutting-edge technologies. Fully customizing it takes a couple of minutes and can fit any project. 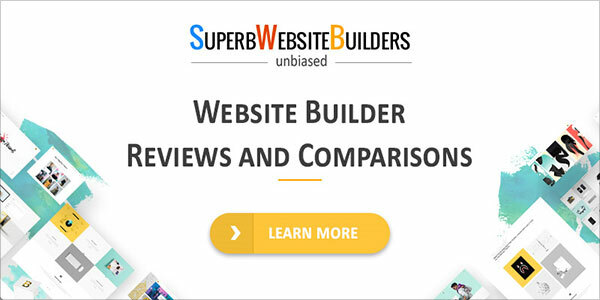 SuperbWebsiteBuilders is a trusted web-based resource, which focuses on providing informative reviews and comparisons of popular website builders. The website belongs to Howard Steele, who personally tests each service reviewed at the website and makes informative comparisons and ratings of website builders that can be used to solve different tasks. The website is a decent choice for non-tech savvy users as well as for professional web developers. 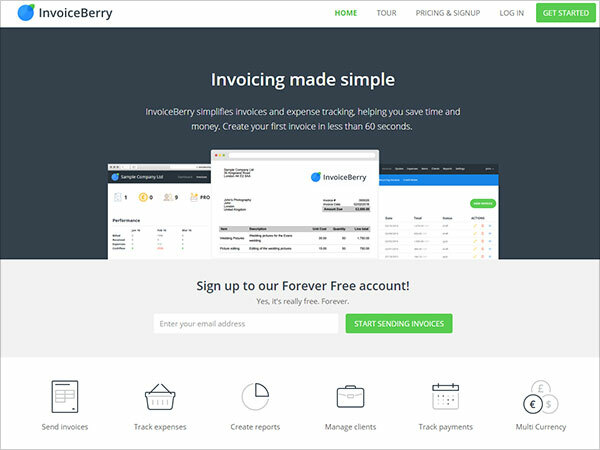 InvoiceBerry is a great invoicing and tracking costs for freelancers and small businesses. You can send fully customized invoices with your branding, payments terms, notes, address and everything you need in less than 60 seconds. They are offering a free forever plan. Price: Free plan and the premium ones start from $15 / month. 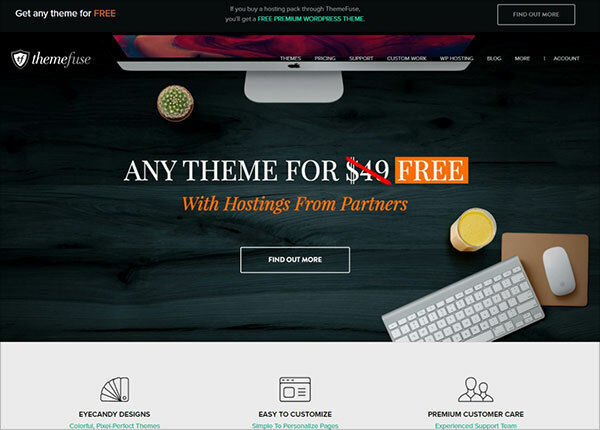 ThemeFuse is a powerful WordPress theme developer which has among the best people in their team. Their portfolio number more than 45 gorgeous and professional themes that can be fully customized in minutes. Whenever needed, keep in mind that they can help you with a Custom Website, tailored to your needs. 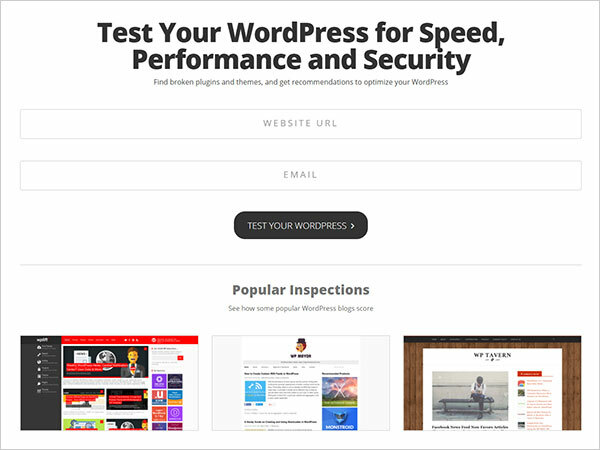 WordPress Inspector will inspect your site for speed, SEO, security, and performance. It’s super-simple to use, enter your WordPress website address and they run different benchmarks and tests. Verify how your website is doing.